Size: -- Choose Size -- Large L76"xW47"xH47" Medium L72"xW44"xH43" Zero Turn L79"xW46"xH55"
The perfect accessory for any lawn mower! 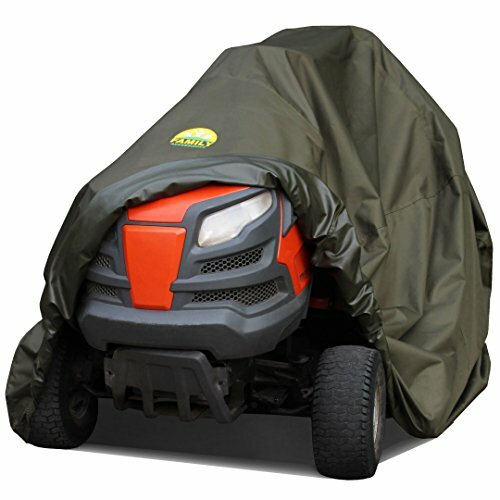 We want your mower to look beautiful, keep it protected and dry! Our cover comes in a quality and style that is unavailable from competing products: & #8226 Looks beautiful! It doesn't look like a Hulk in the yard. & #8226 Keeps your tractor dry even in heavy rains. & #8226 Prevents water condensation with two air vents. 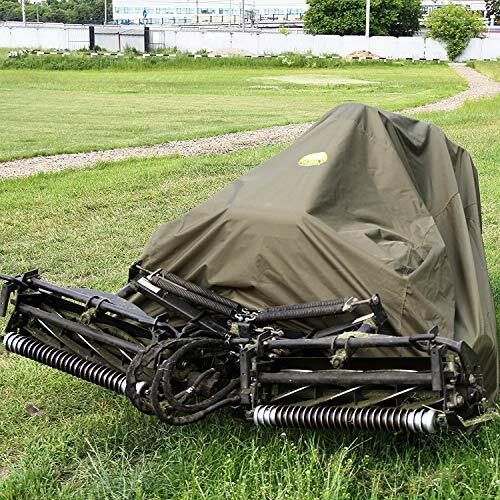 & #8226 Protects your mower from the sun's harsh UV rays, dust and birds. Keeps it clean and shining! & #8226 Will last longer than other covers! We use durable marine grade fabric, double stitching and better UV protection. & #8226 Generously sized and covers the entire mower. Comes in two sizes Medium L76"xW47"xH47" and Small L72" x W44" x H43". We recommend that you measure your mower to find out which size fits better. 100% MONEY-BACK GUARANTEE. If you are not satisfied with our cover, return it for a full refund. 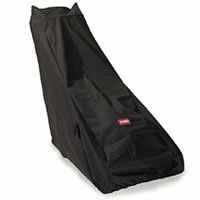 Get your lawn mower a cover it deserves. Click "Add to Cart" right now and order yours today! PROTECT YOUR INVESTMENT. Keep your riding lawn mower out of extreme elements while storing during summer or winter (rain, dust, dirt, wind, sun, snow and birds). DURABLE. Don't be fooled by lower prices that compromise quality! 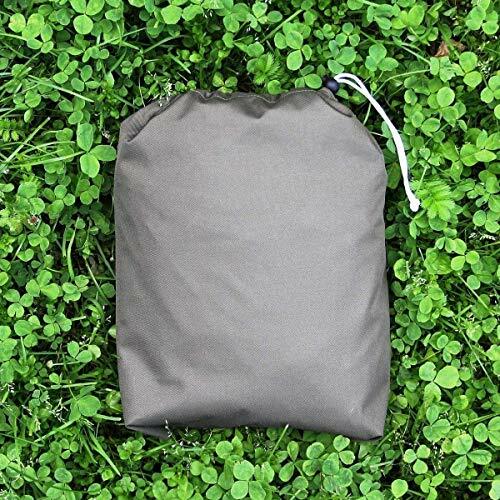 Heavy duty, tear resistant, thick woven 600D polyester fabric ensures durability over time. 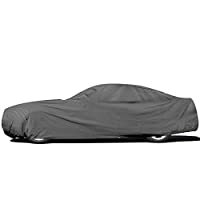 UV resistant coating keeps the cover protected from the sun. WATERPROOF. 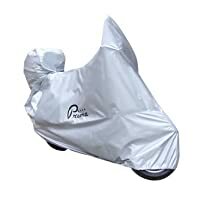 Additional polyurethane coating and seam sealing provide maximum water protection. Two air vents prevent condensation. EASY TO USE. 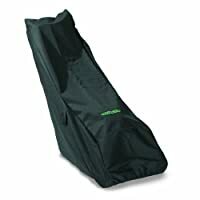 Elastic hem assures a tight fit around the garden tractor so the cover won't fly-off during windy days. Storage bag included. 100% MONEY-BACK GUARANTEE. All our products come with a 1 month guarantee: if you experience ANY problems with your Lawn Mower Cover, we refund your entire purchase. Our products are sold with a 12 month warranty for the original purchaser against manufacturing defects.